The national board of SAG-AFTRA will ask outside counsel to review recent allegations of alleged misconduct by the union’s leaders. The board, in a statement passed unanimously on Sunday, also blasted the United Screen Artists Committee for making the allegations. 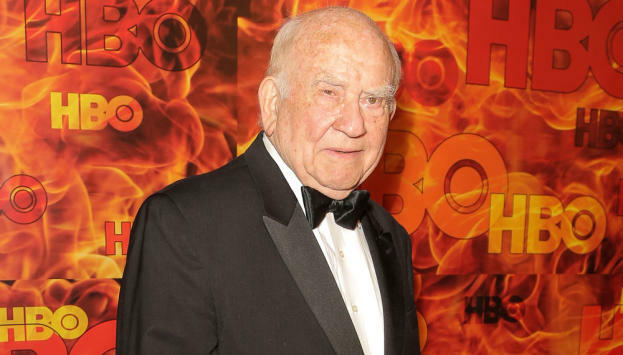 Variety reported exclusively on Friday that former SAG president Ed Asner and eight other SAG-AFTRA members made the accusations in a “letter of demand,” and promised to file a suit if the policies are not corrected in 45 days. The letter of demand said that the amount of member money that’s allegedly being withheld is in the area of $1 billion. “What appeared to be the improper handling of One Hundred and Fifty Million Dollars of monies held in trust is now approaching at least a Billion Dollars, spread out among internal accounts, as well as such entities as Sound Exchange, AFM & SAG-AFTRA Intellectual Property Rights Distribution Fund, and a recent threat to allow a brand-new enterprise, Exactuals, to become a part of the process as well,” read the letter. The United Screen Artists Committee is the same entity that sued the union in federal court in 2013 over the issue of the union’s alleged mishandling of $130 million foreign royalties and residuals. That suit was dismissed in 2014. “As to the correspondence of April 20, 2017, from the self-styled ‘United Screen Artists Committee,’ largely repeating allegations made and discredited years ago, the National Board finds deplorable the decision of these individuals to attempt to undermine member confidence in our union on the eve of crucial contract negotiations. The National Board is certain, however, that SAG-AFTRA members’ confidence in their union remains unshaken. The letter of demand incorporates several of the allegations from the 2013 suit along with new accusations of misconduct — including multiple assertions of using union funds for personal gain — by national executive director David White, general counsel Duncan Crabtree-Ireland, senior advisor John McGuire, and consultant Robert Hadl. Besides Asner, the letter was signed by Alan Ruck, Clancy Brown, Eric Hughes, Steve Barr, Terrence Beasor, Tom Bower, Alex McArthur, and Dennis Hayden. In response to the 2013 suit, the union repeatedly insisted that it had done nothing wrong and characterized that litigation as “frivolous.” It also asserted on numerous occasions in 2013 and 2014 that without its efforts, actors would not have seen any of the foreign funds nor received unclaimed residuals. SAG-AFTRA is expected to begin contract negotiations with the Alliance of Motion Picture and Television Producers once the Writers Guild of America makes a deal. The WGA has threatened to go on strike if if does not have a deal when its contract expires May 1. SAG-AFTRA’s deal expires June 30. “The Questions posed by USAC’s letter of April 15, 2017 warrant answers by the Union’s leadership and not another accounting firm who only looks at what the Union’s leadership provides. If the elected members of the National Board of Directors, let alone our appointed President, do not have the time to review the records shown to many of the authorees of the letter commented upon in the SAG-AFTRA National Press Release, with full knowledge of Judge Manuel Real, then have the high level executives, David White, Duncan Crabtree-Ireland, John McGuire and Robert Hadl, answer the simple questions posed. David White, you make more than a Half a Million Dollars. Do you bill the Union for seven telephones and are some of the lines entrusted to your spouse and close family friends? Do you charge the Union for aged Vodka and limo rides? When was the last time you flew First Class and who used the Frequent Flier Mileage and Hotel Mileage you have accumulated by criss-crossing the United States? Have you failed to satisfy continuing education credits with the State Bar of California, yet have charged the Union to transport you to many conferences where you sit on panels where other professionals receive continuing education credit? Duncan Crabtree-Ireland, you make close to a Half a Million Dollars. Do you make the Union pay for your membership in not simply the State Bar of California, but multiple voluntary bar associations, as well as parlimentarian, copyright and other private membership organizations? Did you cause close to One Million Dollars to be expended to purchase the Nashville Building that AFTRA by and through its Nashville Performers Corporation already owned and in turn SAG-AFTRA owned because of the merger? John McGuire, what awards did you receive after you caused SAG to make donations to these philantropic organizations? Have you caused a Power of Attorney with your signature affixed thereto to be distributed to foreign governments and foreign collecting societies, as proof that all members of SAG-AFTRA have signed the same Power of Attorneys? Finally, what are the answers to the Exactual questions posed in our letter? Are they going to be handling members wages and more importantly who is making the direct deposit? Exactuals, the Studios, SAG-AFTRA?